The Creative Circle Awards showcases great ideas, fresh thinking and craft with an avant-garde spirit, so when Grey London commissioned our specialist print team to produce the 2018 Creative Circle Annual, we knew to expect the unexpected. 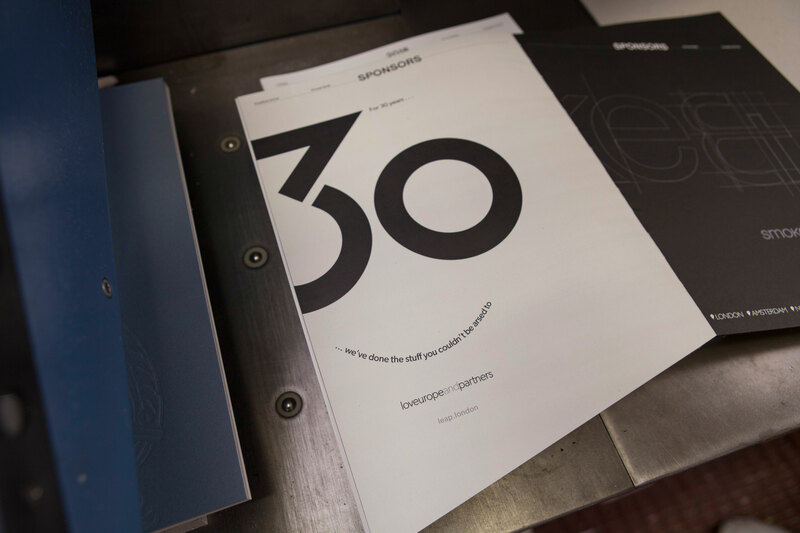 Following the previous year’s bold, anarchic design, the brief for the 2018 edition was to make creative disruption literal by cutting the base of the book at an angle to prevent it from sitting properly on a bookshelf. 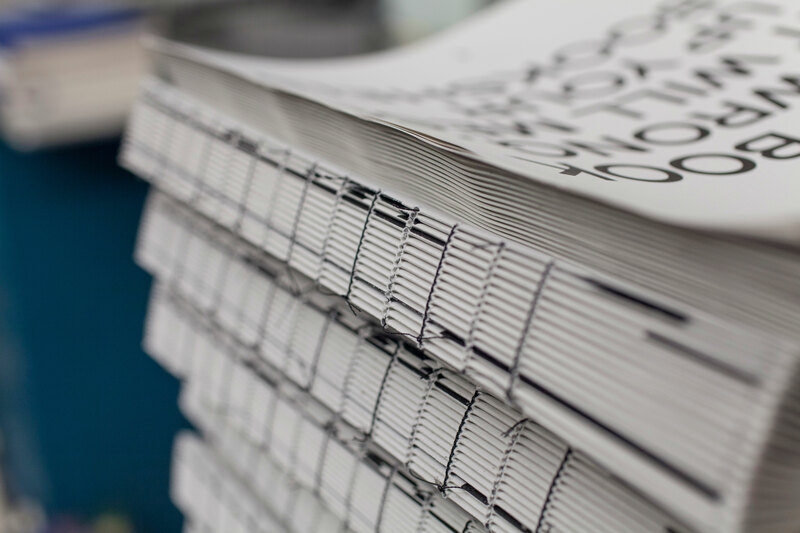 Over the course of several months, our craft print team perfected the combination of process, materials and techniques, working closely with Grey as their team developed the creative specifications and artwork. 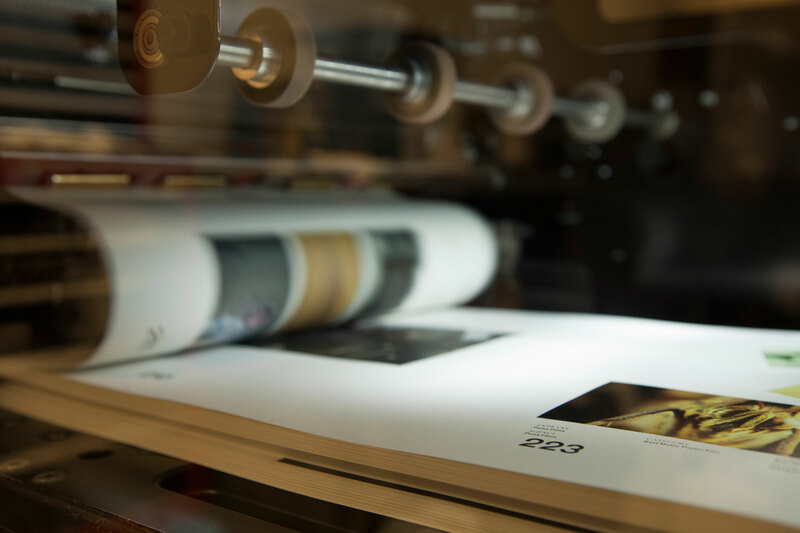 We selected 100% recycled Cyclus Offset stock and had it undergo specialist treatment to prepare it for printing at LEAP Woolwich on our HP Indigo digital printing press. 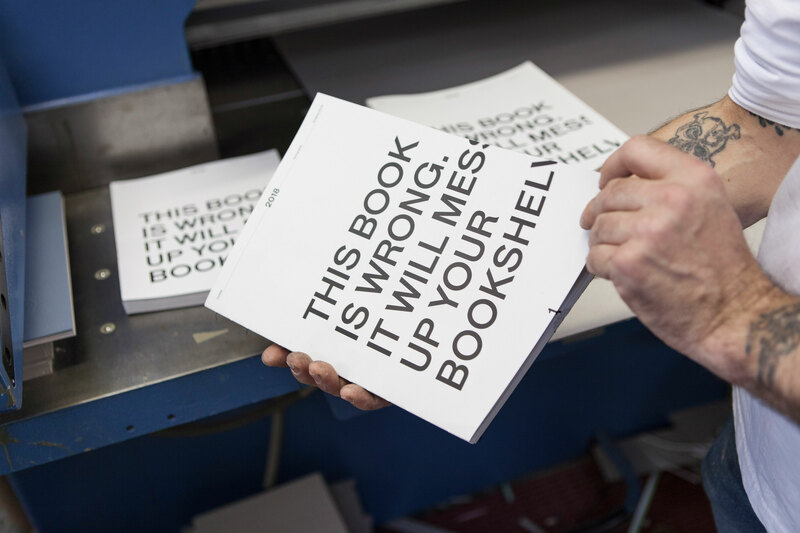 Responding to the brief to produce a naked-bound book, we had to ensure that the 240 pages of text wouldn’t flop over, so mounting the final page onto triplexed black stock enabled it to stand, albeit jauntily, on a bookshelf. Finally, 300 limited edition Creative Circle Annual books were delivered to challenge creative expectations and bookshelf layouts.